By the end of our complete Master Class Course Students will be able to edit videos like a professional from scratch! You do not need any prior video editing knowledge before taking our course! Also included at the end of this course will be a ‘Master Project’ work-through where our instructor, after thoroughly teaching you everything he knows, will edit through a project of his own from beginning to end showing in detail how a real live Adobe Premiere Pro CC project can come to life in the hands of a professional video editor with over 5+ years of experience. 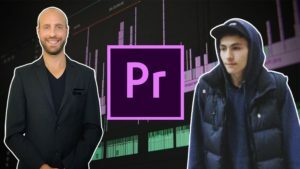 This course is for you if you are interested in learning the ins and outs of Adobe Premiere Pro CC from Scratch!